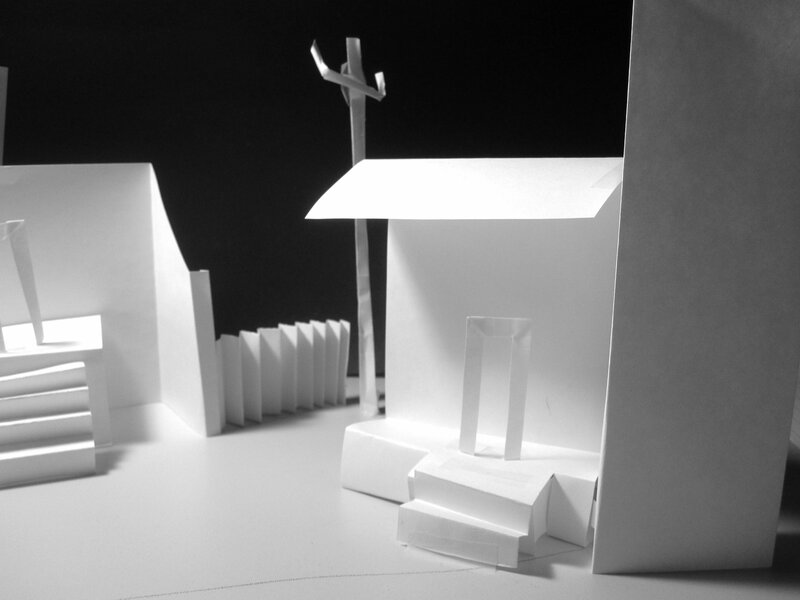 Outing’s first time designing a set, which turned out to be her favorite project while at Penn, came along as a freshman. 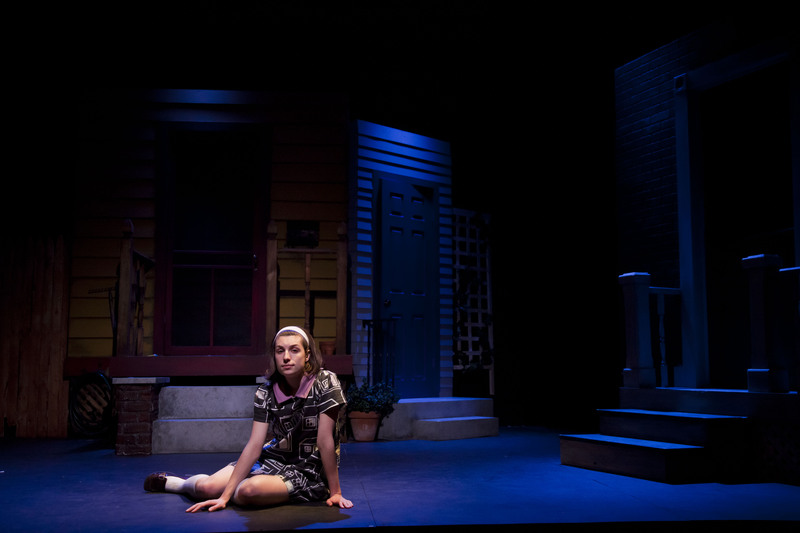 She worked on a theatre arts production of The Good Times Are Killing Me—a show that featured in our story on theatre arts at Penn in 2011. "The Good Times Are Killing Me" set. Photo by Eric Baratta. Outing's paper-and-tape spatial study for "The Good Times Are Killing Me." Outing's chalkboard sketch (colors inverted here) for the "Good Times" set. From there, she designed sets for student productions of Children of Eden, Legally Blonde and Moonchildren. By the time she graduated, Outing had made a few connections in the local theatre scene. 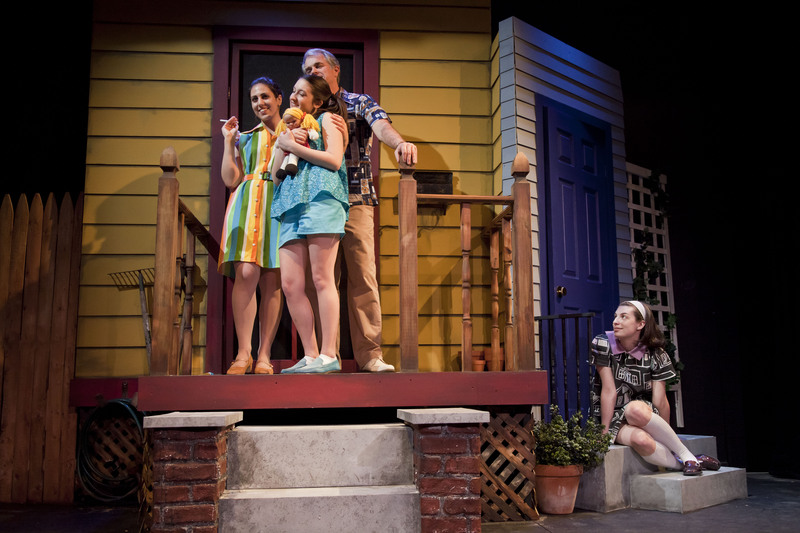 Those relationships—along with an apprenticeship at InterAct Theatre Company—helped her launch a career in set design. After that incubation period, she re-reads the script and starts jotting down ideas. She avoids looking at photos from past productions for as long as possible. Music helps, too. 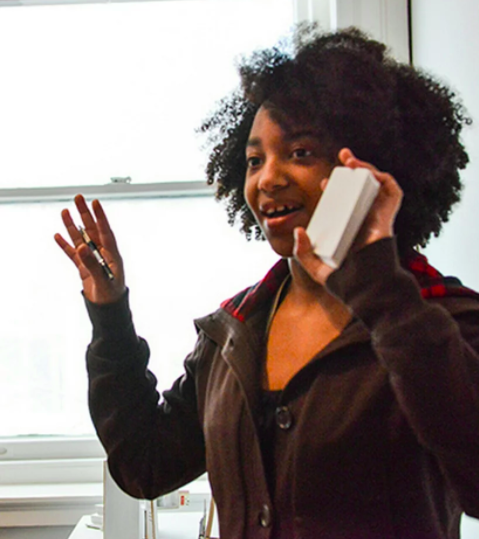 If she thinks about a soundtrack rather than a script, that can lead to more inventive ideas. “It’s a trick I use to get away from literal imagery,” she says. 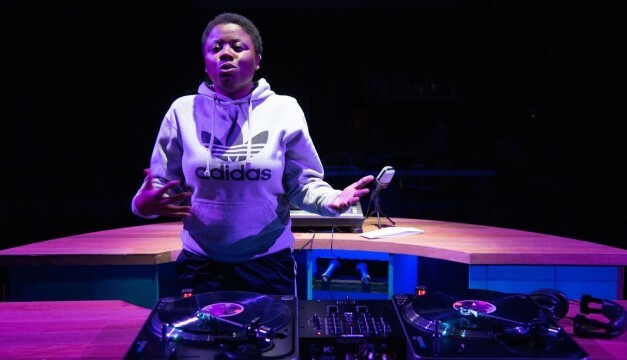 Outing’s design last year for How We Got On by Azuka Theatre netted her the Barrymore nomination. 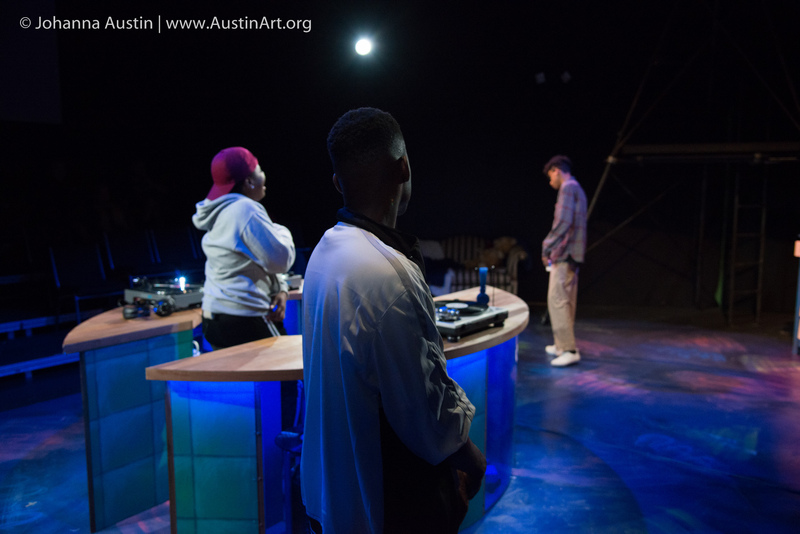 Set in the 1980s, the play follows three suburban teens who dream of hip-hop stardom. 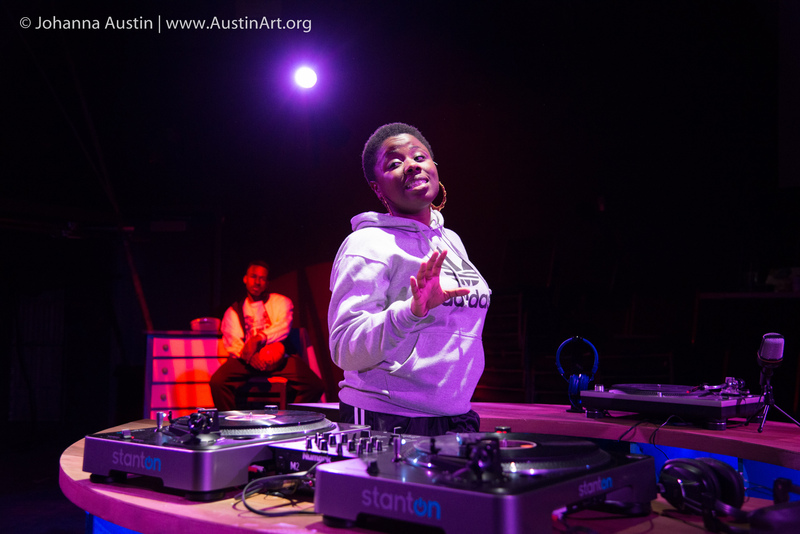 A narrator DJ “spins” their stories on stage. 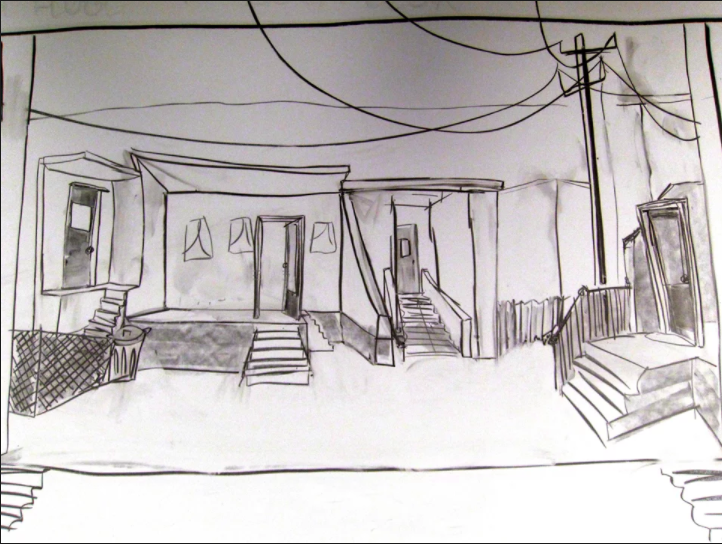 Outing's sketch for the "How We Got On" set. She maintains a busy design schedule. 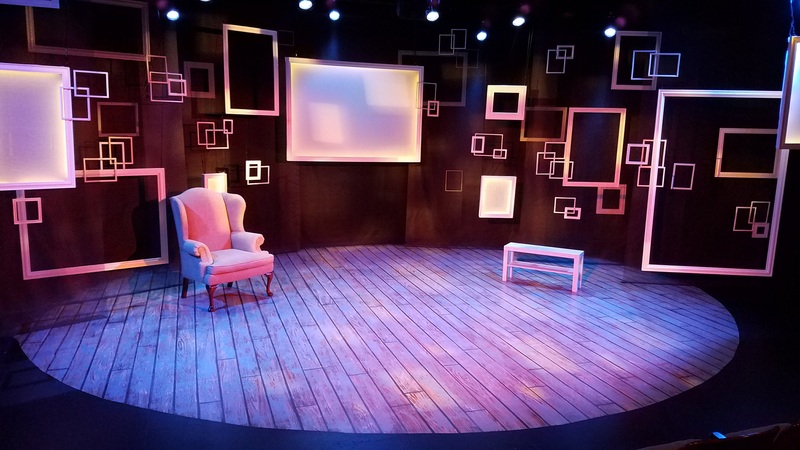 Her set for 2.5 Minute Ride by Theatre Horizon just left the stage (the show ran Oct. 6-29), and now she’s working on designs for a play called The Art of Swimming, which opens Dec. 6. 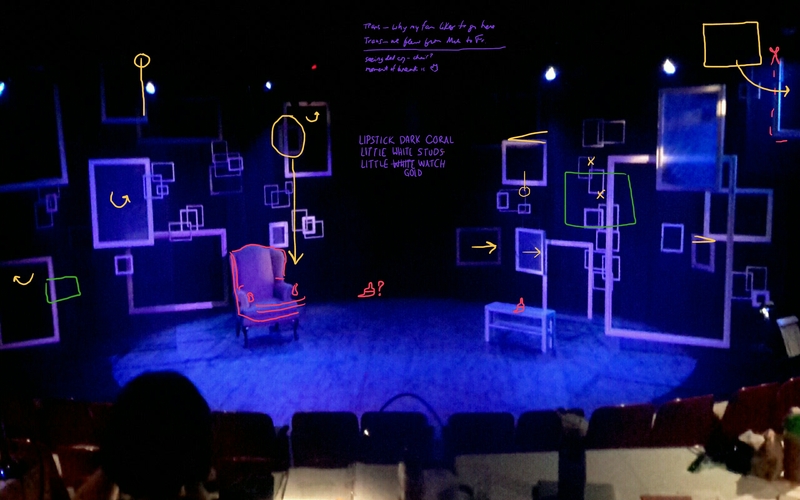 Outing's set for "2.5 Minute Ride" (Theatre Horizon). 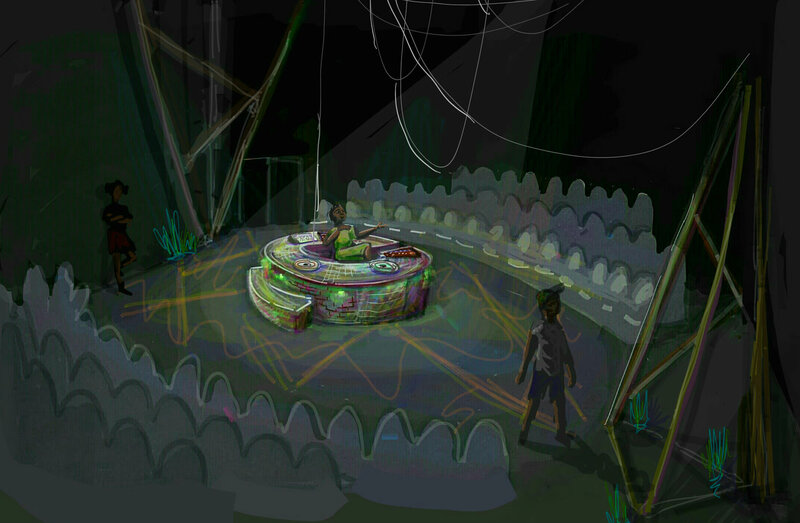 An in-progress design for the set. CONGRATULATIONS Sara!!! What a great article about your talent, passion and creativity!! !